Space themes has been purchased 65, rating: 4/5 based on 4 reviews. Space is a beautiful, modern and eye-catching design. It is based on CSS 3 and HTML 5 technology. These are the most advanced technologies and create the best experience for customers. In addition, this theme is fully compatible with all devices such as mobiles, tablets, computers, laptops, screens, etc. In addition, Space Shopify theme includes a lot of powerful modules to help your customers have a great experience on the website. 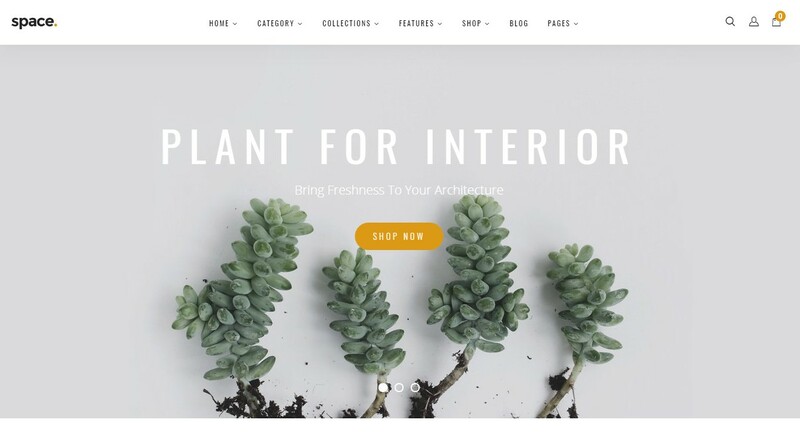 Furthermore, the Space Shopify theme will make a difference to your store thanks to the various homepage options it offers.